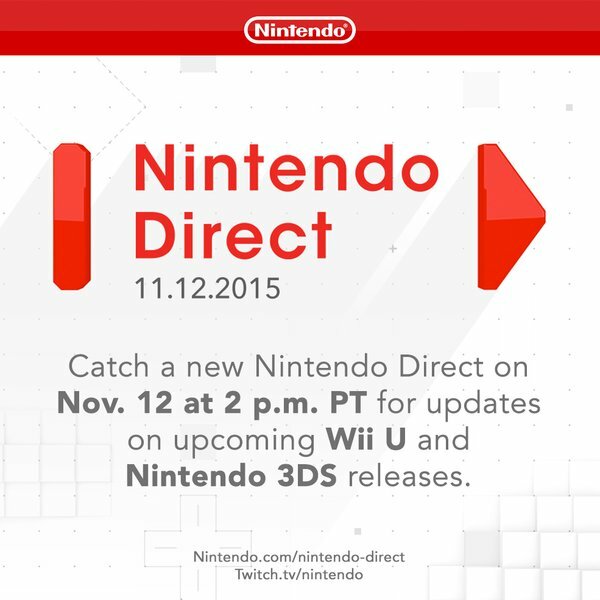 As everyone now knows due to the media frenzy surrounding it, a new Nintendo Direct presentation is being held at 10pm on Thursday 12th November 2015. But do you know what that means? Yep, it’s time for another game of ‘predict the Nintendo Direct announcements’! So as per long established gaming website tradition, we’ve put together our thoughts on what 3DS and Wii U games will be covered by the upcoming video. Will they be right? Will they be wrong? No one knows, but either way, here’s the list! It’s been hinted at for a while now, but if this game really is in development, Thursday’s Nintendo Direct should be where we see it for the first time. And do you know what? We think it might really be in development. Oh sure, it’s an obvious idea, but a lot of other obvious ideas happened to be real as well (like the Pokemon Ruby and Sapphire remakes and Majora’s Mask 3D). So it seems likely that Twilight Princess HD is also in development, and that said game could be announced this Thursday. We’ll also likely see more weapons announced for Splatoon, like what’s happened every other week so far. Maybe a few new maps might be announced too, if Nintendo feels the game needs a bit more sprucing up for whatever reason. Which we think will also be getting some more DLC soon. After all, the last week has had special event levels released on a daily basis (to unlock the Links from Tri Force Heroes and the Mario form from the Super Mario Kun manga), and there are still about 8 more slots in the Costume Mario select screen to fill. Above: As you can see, we don’t care much about the 100 Mario Challenge. 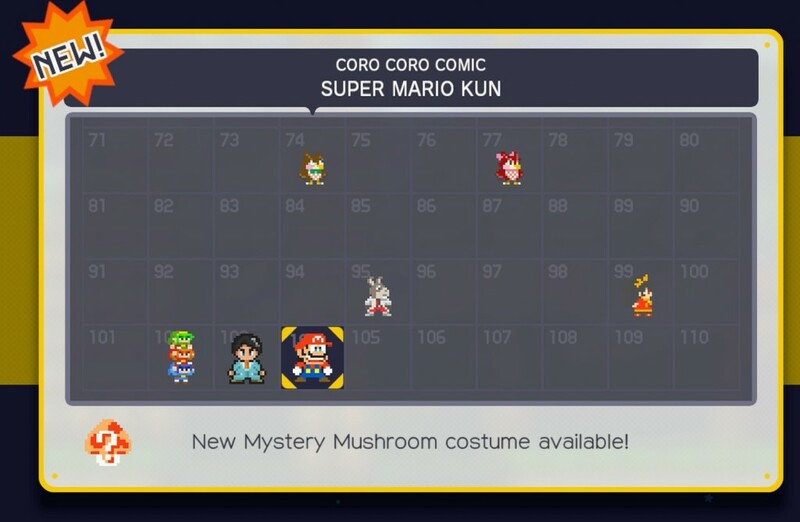 So it’s likely we’ll find out who the next batch of Costume Mario forms will be based on. Perhaps they’ll be inspired by the winner of the Super Smash Bros ballot, with King K Rool appearing in eight bit form for the first time! And now this game. It’s already been shown off on a few Nintendo social media channels in the last couple of days or so, but it seems obvious we’ll get a more interesting trailer for the game in the upcoming Direct. Most likely in the form of a cinematic trailer focusing on the game’s storyline and characters, complete with an epic song playing in the background and a couple of the later game boss battles chucked in for good measure. Above: One of Nintendo’s many promo videos for the game. A new trailer is the logical next step. The results of the Super Smash Bros character ballot. It’s been closed for about two months now, and people are just dying to know who the hell won it and whether they’ll be added to Super Smash Bros 4 as a playable character as a result. And with everyone from indie game developers (Yacht Club and WayForward have been campaigning to get Shovel Knight and Shantae in the game) to die hard Nintendo fans (like the huge King K Rool fanbase calling on others to ‘Kroc the Vote’) and even competitors (Microsoft’s Phil Spencer has said he wants Banjo in the game) petitioning for characters to get added, just about everyone in the industry is dying to know who’s getting in the game. 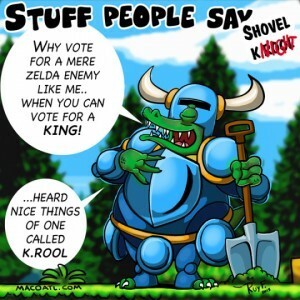 Above: And some K Rool fans are mocking the Shovel Knight fans.. So it seems pretty obvious that the results will be announced in the upcoming Nintendo Direct, and that everyone will be wondering whether their personal choice managed to make it in. But how about the 3DS game announcements? What’s more, Thursday’s Nintendo will be (as Bowser would say) show time for this game. Because you see, up until now, Nintendo haven’t really shown all that much interesting stuff in it. Oh sure, there’s been a bit of footage showing Paper Mario fighting alongside the normal Mario bros, and various characters talking to their paper counterparts. But do you know what hasn’t really been shown? Anything new, or anything involving the storyline in general. People buy RPGs for the storyline and new characters. Currently, we’ve seen no new characters and very little in the way of a storyline or game structure. So it seems likely the new trailer will be what tell us if the game is going to be any good. If we see a bunch of new characters and ideas, then Mario & Luigi Paper Jam will be worth buying. If not… well, at least we’ll know it’s another Sticker Star without having to spend money on it. And rounding off the list, it seems likely we’ll get the first batch of DLC for the Legend of Zelda Tri Force Heroes. It’s definitely coming (we posted an article a couple of days ago about how text related to DLC was found in the game ROM by hackers), we’re just going to finally find out what it is. Honestly? We think it might be ‘classic’ levels based on other Zelda games, sort of like the extra areas in Four Swords Anniversary Edition. Perhaps a couple of them will bring back Ganon, Yuga and the villains from the Oracle games as bosses too, for nostalgia’s sake. So that concludes our predictions for this week’s Nintendo Direct announcements. What do you think about our choices and their chances of being accurate? Will the games on the list above be the ones in Nintendo’s upcoming presentation? Nintendo Direct coming on November 13th 2013!